Alison Pratt. A Murder Before Eden. Morrisville, NC: Lulu.com, 2010. The adage that claims that “Truth is stranger than fiction” is often proven true. Newspapers publish “Weird News” sections, family folklore (albeit possibly embellished a little) is passed down through the generations, and history books always have their fair share of bizarre tales. One such head-scratcher is set in 1940s Leaksville, North Carolina, which is now Eden. Tom Pratt, an elderly man, is viciously murdered in the middle of the night in his cabin. Only his wife, Ruby, caught a glimpse of the intruder. As the authorities begin to build an easy case against Junior Thompson, a neighbor who recently escaped from prison, Tom’s family begins to question that theory. Ruby’s description of the killer fails to match Junior’s appearance, and the circumstances of the crime seem highly unusual. Then there is the fact that they do not necessarily trust Ruby, the much younger and somewhat estranged wife of their father. Could she have something to do with the crime, allowing a possibly innocent African American man to be the scapegoat? Or is the Pratt family so caught up with questioning Ruby – to the point that they hire a lawyer to defend Junior – that they ignore all other possibilities? Only a small town jury can decide, but their ruling does not stop Leaksville residents from speculating for years to come. This book is based on a real event, one that Alison Pratt has meticulously researched. In the book’s second part, she offers a follow up on the characters’ real lives as well as her own questions related to the case. Alex Hairston. She Creeps. New York: Dafina Books, 2008. For the first time in Naomi Gaffney’s twenty-nine years, life is normal. Although her childhood was marred by her white mother’s death, her black father’s conviction of that murder, and the racial tensions that episode created in the community of Eden, North Carolina, Naomi finally has the life she always wanted. She is married to a man she loves, has three children she adores, and household chores she enjoys, such as cooking big meals for her family. This should be the picture of perfection, but Naomi is unsatisfied. When her sister suggests she go outside of her marriage to find happiness, Naomi balks at the thought. Sure, the spark she and her husband once shared has lost its shimmer, but after seeing what happened between her parents, Naomi is not interested in ruining a good (if not great) thing. All of this changes when an attractive mechanic rescues her on the side of the road. Naomi gives in to the temptation, but this puts her life in danger. There is a sociopath on the loose in Eden who is targeting “sinners.” That zealot kidnaps Naomi with the intention of murdering her. As Naomi confronts the complications her act of adultery has created, she realizes that the simple life was not so bad after all. Frank A. Clarvoe. The Wonderful Way. New York: Henry Holt and Co., 1956. As a young man, Wilford Hollester was a good student with no particular sense of purpose, but when his mother dies, his life changes. Shocked by her death and touched by the kindness of the local bishop, Hollester becomes a minister. This novel follows him through seminary and as his begins in ministry in several mill towns in the North Carolina Piedmont. By meeting personal and professional challenges he becomes a better person and more secure in his vocation. P. T. Deutermann. Nightwalkers. New York: St. Martin’s Press, 2009. Cam Richter doesn’t like the way subdivisions are springing up around his place in Summerfield, North Carolina, so he decides to buy an antebellum plantation in Rockwell County. The change of scene doesn’t protect Cam from a stalker who’s taking shots at Cam no matter where he is. Rockwell County has it own dangers. It seems that Cam’s land was the site of a massacre late in the Civil War, a massacre that may or may not have something to do with the eccentric family who lives across the road from Cam’s house. As Cam and his faithful German shepherds explore the features of his land–an abandoned mine, a cemetery, an old railroad bridge–the body count starts to rise, and the novel builds to a dramatic conclusion. This is the fourth Cam Richter novel. The fictional setting bears similarities to Rockingham County. T.R. Pearson. A Short History of a Small Place. New York: Simon & Schuster, 1985. The suicide of Miss Myra Angelique Pettigrew – an aristocratic woman who had lived alone for years with her pet monkey, Mr. Britches – is the story that begins this novel, but is by no means the only one told. 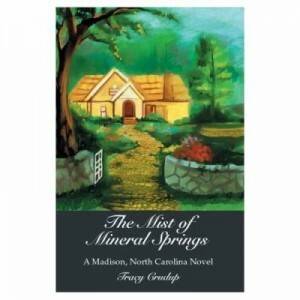 Narrated by young Louis Benfield in a rambling, funny voice that has been compared to the narrative style of William Faulkner, this novel portrays the people of Neely, N.C., a fictional Piedmont town that may be based on Reidsville. T. R. Pearson. Glad News of the Natural World. New York: Simon & Schuster, 2005. Pearson’s widely-acclaimed first novel, A Short History of a Small Place, was the story of young Louis Benfield of Neely, N.C. Now, twenty years later, Pearson returns to Neely and picks up the story of 34- year-old Louis. Tired of his listless life at home and his dead-end job, Louis moves to New York city, but things don’t get a whole lot better. He bounces from one odd job to another and makes several desperate stabs at romance that are only doomed to fail. It is only when tragedy strikes his family that Louis is forced to make responsible decisions and, in a way, finally grows up.